ONLY 8,887 Miles! EPA 28 MPG Hwy/20 MPG City!, $400 below Kelley Blue Book! Moonroof, CD Player, iPod/MP3 Input, Dual Zone A/C, Onboard Communications System, All Wheel Drive, Aluminum Wheels, Back-Up Camera, Power Liftgate AND MORE! 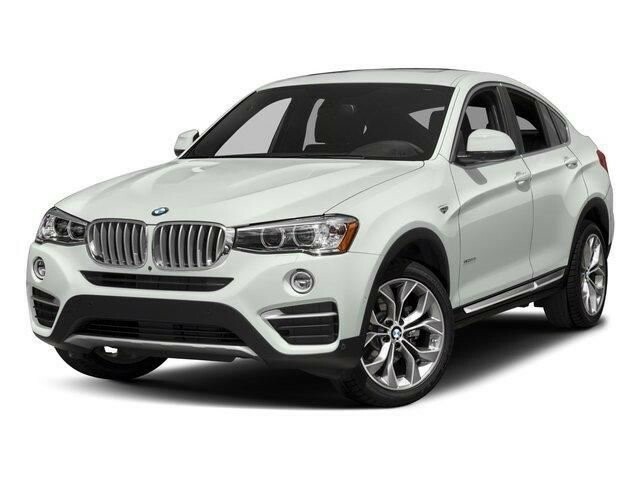 This X4 xDrive28i is priced $400 below Kelley Blue Book. Sunroof, All Wheel Drive, Power Liftgate, Back-Up Camera, iPod/MP3 Input, CD Player, Onboard Communications System, Aluminum Wheels, Dual Zone A/C. MP3 Player, Privacy Glass, Keyless Entry, Remote Trunk Release, Steering Wheel Controls. BMW xDrive28i with Glacier Silver Metallic exterior and Black interior features a 4 Cylinder Engine with 240 HP at 5000 RPM*. KBB.com's review says "Whether you choose the base model with its 2.0-liter turbocharged 4-cylinder, or the X4 M40i and its 355-horsepower turbocharged 6-cylinder engine, both paired to a quick-shifting 8-speed automatic, you'll likely be surprised with the X4's acceleration.". Great Gas Mileage: 28 MPG Hwy. Pricing analysis performed on 6/13/2018. Horsepower calculations based on trim engine configuration. Fuel economy calculations based on original manufacturer data for trim engine configuration. Please confirm the accuracy of the included equipment by calling us prior to purchase.